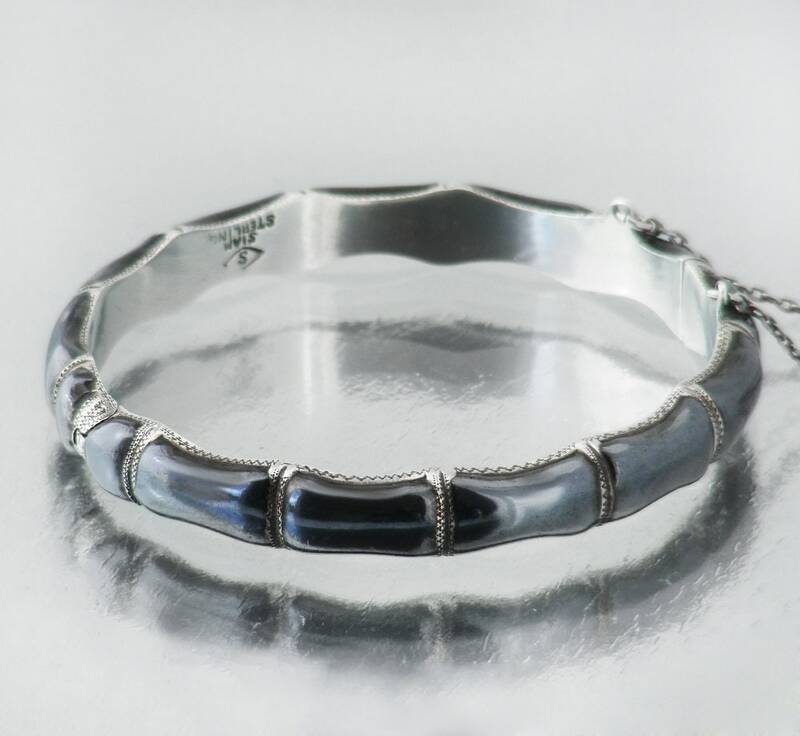 A sterling silver vintage bracelet in the classic and timelessly lovely 'bamboo' design but this one has a difference... the bracelet has glossy black Niello enamel on the outside. 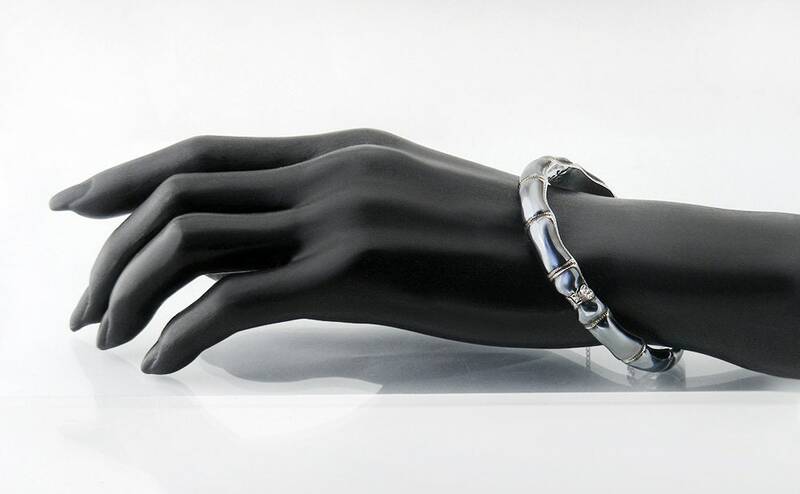 The bangle is elegant on the wrist and finely made. 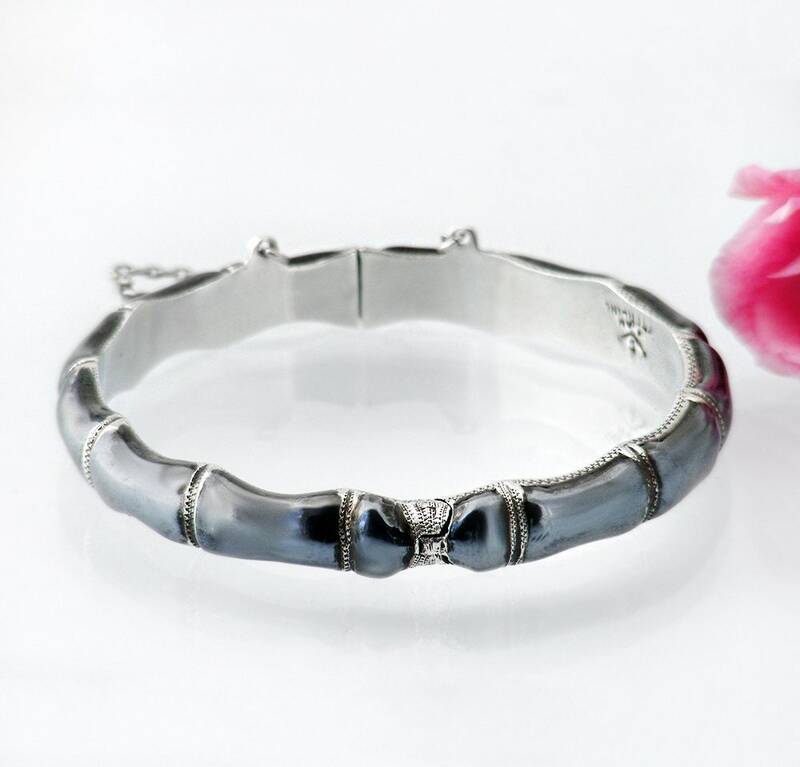 The bracelet is hallmarked 'SIAM STERLING', made in Thailand and the glossy indigo black enamel is applied using the Niello technique popular with Thai Silversmiths - a very collectable piece. 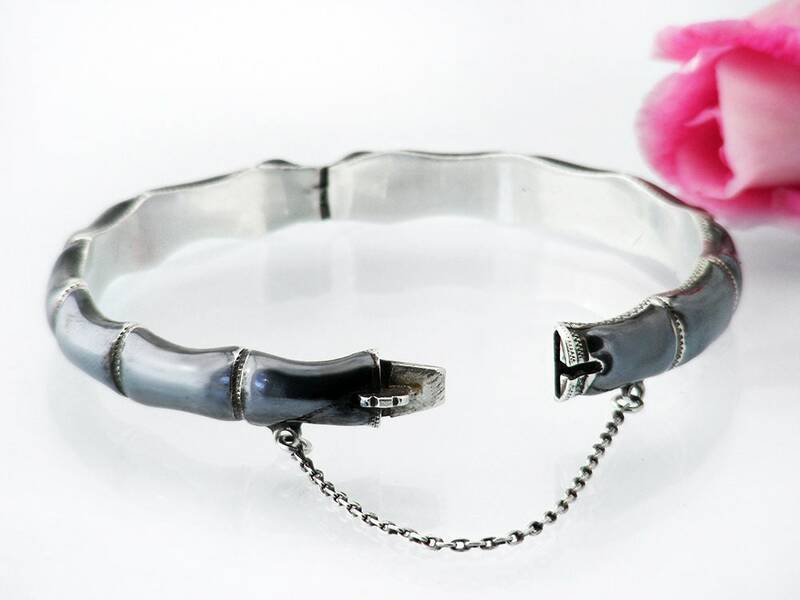 The bangle has a clasp with an insert tongue and a button that depresses to open and also has a safety chain. 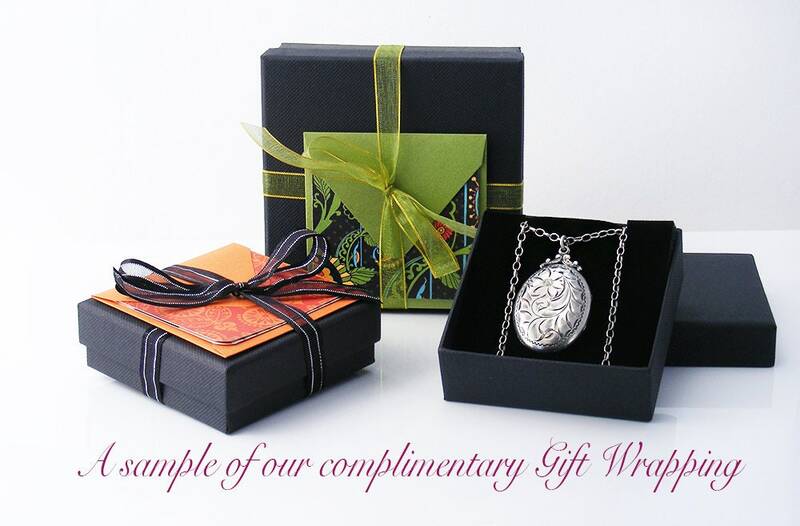 The inside is smoothly polished silver. Size: Medium, the inner circumference is 7.16 inches or 182mmm. Age: 1950s. Note: Siam became Thailand in 1939 but the Siam stamp was used for some time after that. Condition: Excellent. No issues to report - the lovely integral hinge and clasp are working perfectly and the silver has nice natural patina. No chips to the enamel. 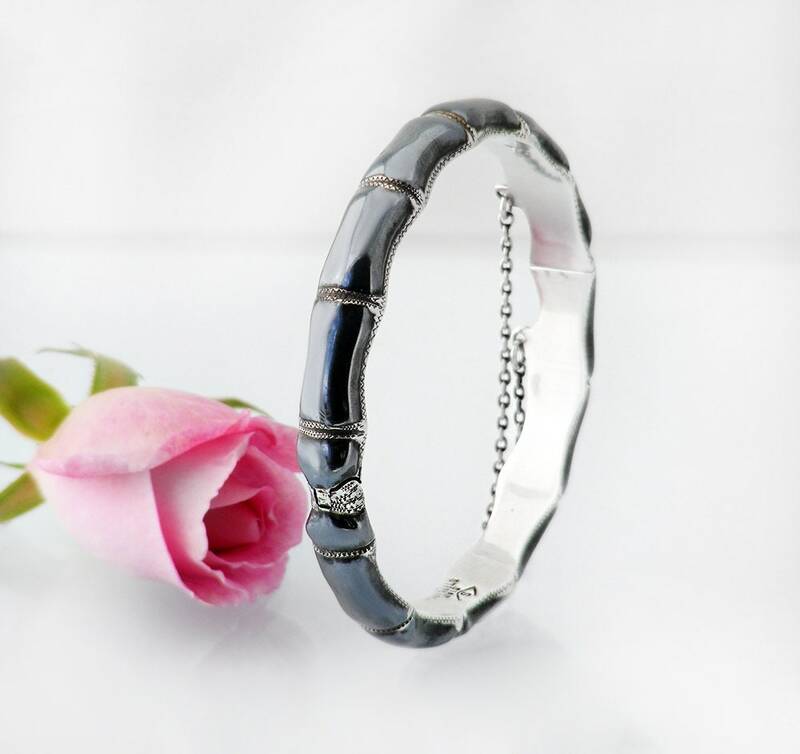 I always look for hinged bracelets and the bamboo design is my all time favourite - the shaping is wonderful, the design timeless. Beautiful in black!